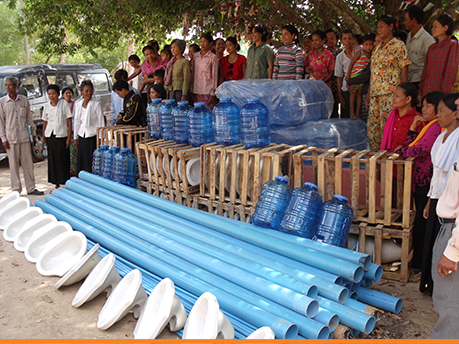 To address this critical need, Asian Outreach has partnered with ERDO (Emergency Relief & Development Overseas) for a three-year project to bring water filtration and sanitation to 750 families (250 families per year) in rural Cambodia. This three-year project will seek to raise a total of $75,000 per year – $50,000 contributed by ERDO per year plus an additional $25,000 to be raised by Asian Outreach per year. 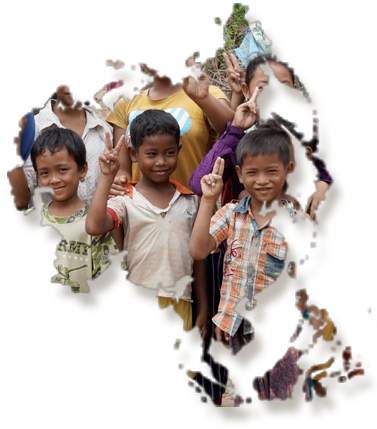 Over the course of the three-year partnership $225,000 will be raised to bring clean water and sanitation to the children of rural Cambodia. $25,000 is needed now to complete the work for this year. For this project to succeed, we need your help our partnership with ERDO can only do so much. We need to raise $25,000 per year as our commitment to the project, but we can’t do it alone. Right now, we need your support to complete our goal of helping 250 families for this year. Your continued support over the next two years – helping to raising $25,000 each year – will enable us to give a total of 750 families a healthy step forward in life, especially the children. Success Stories: Mr. Yen Ry, 66 and his wife, 55, are rice and vegetable farmers. They live in Lvea Village, Prey Veng and have five children. Every day Mr. Ry waters his vegetables with water from the pond beside his house. He also takes water from the well to his house. The well water is not clean and smells terrible. Their water fountain at home is contaminated, meaning the family is often ill from water borne diseases – which is costly because they have to buy medicine. Staying healthy is a constant battle. Ry and his wife were very happy when they heard that AO was coming to promote the water and sanitation project in his community. Shortly after, AO staff came to construct and distribute water filters and toilets to the community. Ry quickly registered to receive a water filter and toilet. “I’m so happy, because of the water filter I have clean water for daily use and don’t have to use dirty water anymore,” said Ry. He no longer has to spend time boiling water to sterilize it, and the clean water is keeping his family healthy. Now he has more money to invest in his farm and to put toward his children’s education. Success Stories: Mrs. Cheng Sophy, 29, has one son and is an active member of the church in Anlong Chrey village in Thala, Stung Treng province. Before the new hand pump was installed, she was drinking from a small stream which was unclean and would often run empty. Due to the dirty water her family and church members were drinking, they often suffered from illness and diarrhea. The people in her village find it too difficult to bring water from a small stream as it takes over half an hour or more to walk to the water source. The AO staff approached her commune to conduct a survey for the wells project. The AO staff shared with the villagers that they were a Christian organization and they wanted to provide them with wells. Hearing this, Sophy was very interested and happy to work with AOC. “Thank you God so much, now my family, villagers and church will have wells, and clean water every day and I won’t need to walk a long way to bring water home. I will be able to spend more time with my family and it will bring good health to my villagers,” said Sophy.